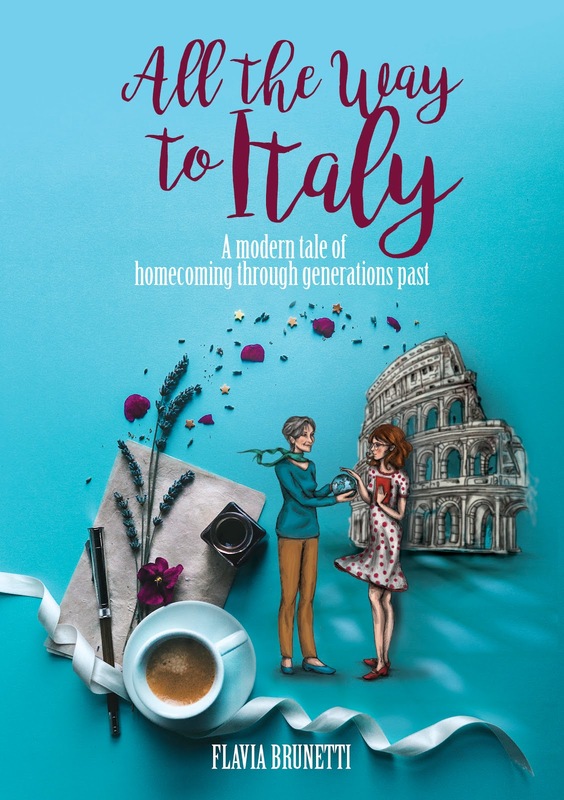 All the Way to Italy: A Modern Tale of Homecoming Through Generations Past by Flavia Brunetti – Interview and Giveaway Inside!! To follow the tour and read reviews, please visit Flavia Brunetti’s page on Italy Book Tours. If you were stuck on a deserted island, which 3 books would you want with you? I thought this one was going to be particularly difficult to answer, but my absolute favorites pop up immediately (though it is hard to keep it to 3! ): The Lord of the Rings by J.R.R. Tolkien, American Gods by Neil Gaiman, and Beach Music by Pat Conroy. Favorite travel spot? Like the question above, there are so many, but if I have to pick just one: Il Giardino di Ninfa, and Sermoneta, the little town right next to it (one of the reasons both these places are in All the Way to Italy!). Is there a specific ritualistic thing you do during your writing time? I don’t think this counts as a ritual, but I have a really hard time writing without eating, even if it’s just nibbling on something. White chocolate-covered raisins, and the little Reese’s bites, are my kryptonite. What is your next project? I have two ideas in my head at the moment: one is the story of Little a few years on, when she’s grown up and has moved to a new country; the other is the story of Sira when she was younger. So let me answer this question with a question: if you’ve read All the Way to Italy, which one of those two stories would you most next want to read? How did you do research for your book? Some of the research did itself and was the inspiration to actually write the book: growing up between Rome and California, hanging out in a lot of airports growing up, falling back in love with Italy, meeting so many people who had also become enamored with the country. The rest of the research process was mostly sitting down and compiling everything, stitching the ideas together—organizing and editing was the hardest part for me! Check Out: Waking the Ancients: Nemesis of the Gods 1 and 2 by Catherine Cavendish. Guest Post and Giveaway Inside! Suspense/Thriller: Eyes Don’t Lie: You Can’t Hide by Crystal Dawn Mason – Interview and Giveaway Included! !